A dental bridge is a restoration that replaces one or several consecutive teeth by using the surrounding teeth for support. However, implant-supported bridges are secured using dental implants, offering improved stability and support. Dr. Davey Crockett can place and restore the implant with a bridge at his Richmond, VA, office so you can complete treatment under one roof. He can also provide preparatory procedures, such as bone grafting, to help ensure a successful outcome. 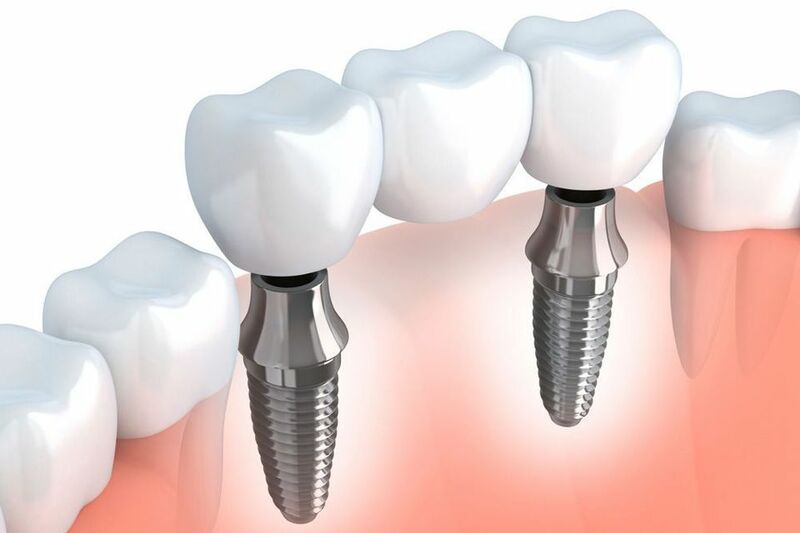 Are Implant-Supported Bridges Right for You? In a basic sense, individuals who are missing one or more consecutive teeth are good candidates for a dental bridge. However, only certain patients will be considered good candidates for dental implants. Dr. Bousaba can place the implants in his office using advanced technology, experience, and sedation to ensure your comfort. Dr. Bousaba can place the implants in his office using advanced technology, experience, and sedation to ensure your comfort. It only takes about one hour to place the implants, and our sedation techniques will allow you to remain relaxed and at ease during the procedure. The first surgery involves an incision in the gums to access the underlying tissues and the placement of the implant within the jaw bone. While a traditional dental bridge is helpful and can improve oral health and function, an implant-supported bridge has far-reaching benefits. During a process known as osseointegration, the implants fuse with the bone to create a stable foundation for your restoration. Bridges supported by implants also last much longer than their traditional counterparts, which can save you time and money in the long run. Neglecting to treat missing teeth can have negative consequences for your oral health and appearance. Contact our office online or call us at (804) 282-2990.